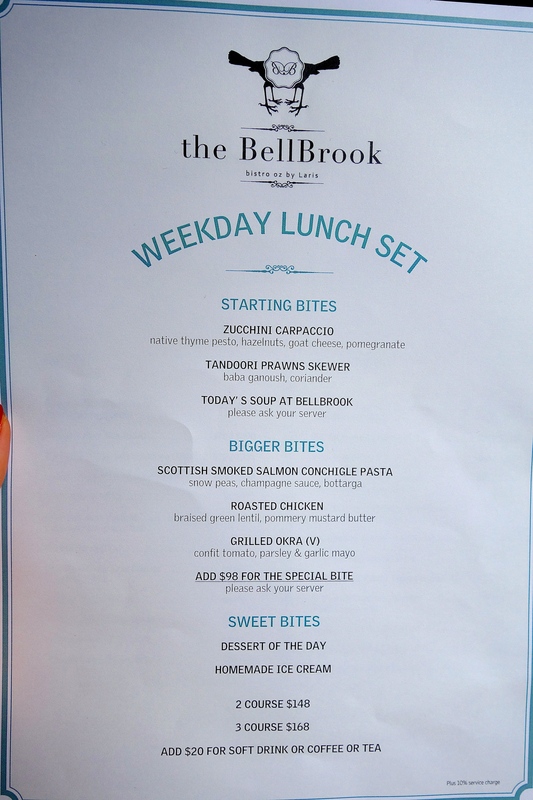 I visited Bellbrook with my mum in an attempt to get her out of her comfort zone and try something different from her usual lunch spots. We had both enjoyed the previous Laris restaurant on separate occasions, and Belbrook sounded interesting. It calls itself a ‘Bistro Oz’, and I hoped it would combine the best elements of casual, fresh Australian food with a bistro vibe. The space is cheerful and bright and we sat happily at one of the high tables on the enclosed balcony. 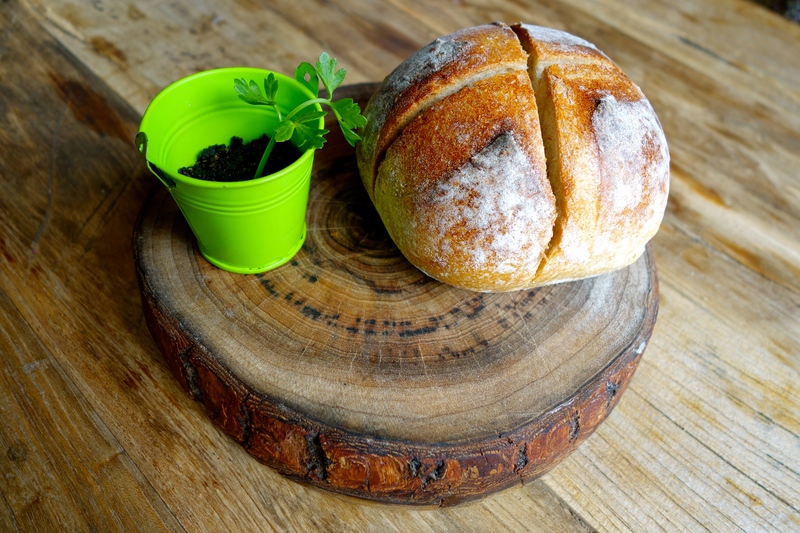 The bread was served warm, fresh and delicious, with a tiny pail of butter covered in an olive crumble resembling soil, with a spring of parsley as decoration. I loved that, and am always happy to see a restaurant make an effort with something seemingly insignificant such as butter. The twisties are also a pretty fabulous way of servings potato crisps. But this is where my admiration of Bellbrook stops. Usually, I’m not one to write bad reviews, but unfortunately this has to be one of them. 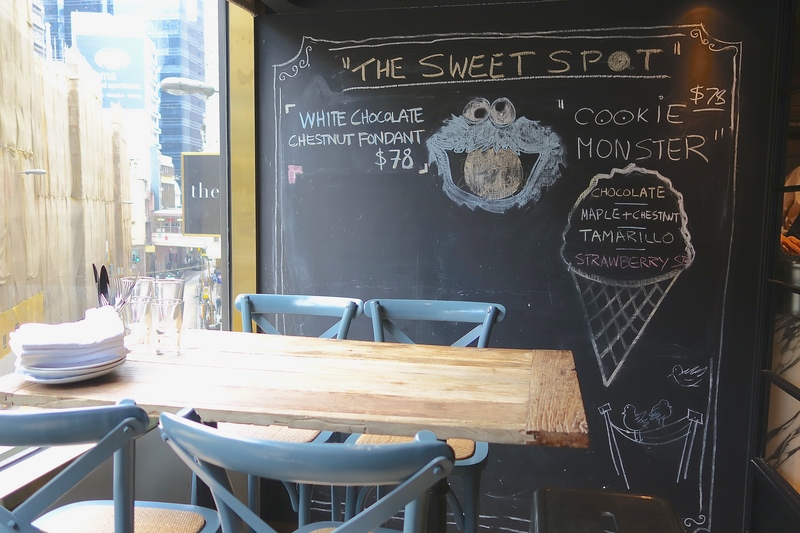 For a restaurant that is trying to re-invent itself, there is not enough there to draw people in, especially with the number of exciting restaurant openings these days. I felt that nothing on their lunch menu jumped out at me. Perhaps I would have had the roasted chicken, but it was “not available on that day”. With only 3 (regular priced) main course options, it’s a bit silly not to have one of them available. Instead they offered ‘Turkey a la king’, and their description of it left little to be desired – turkey in a cream sauce. No thanks. Their starters are served on scratched, shallow tin pans that are either meant for baking a cake or serving food to your pet. No effort was made in the presentation of my pasta dish, which was very underwhelming, and something that I could have made a home in a flash. 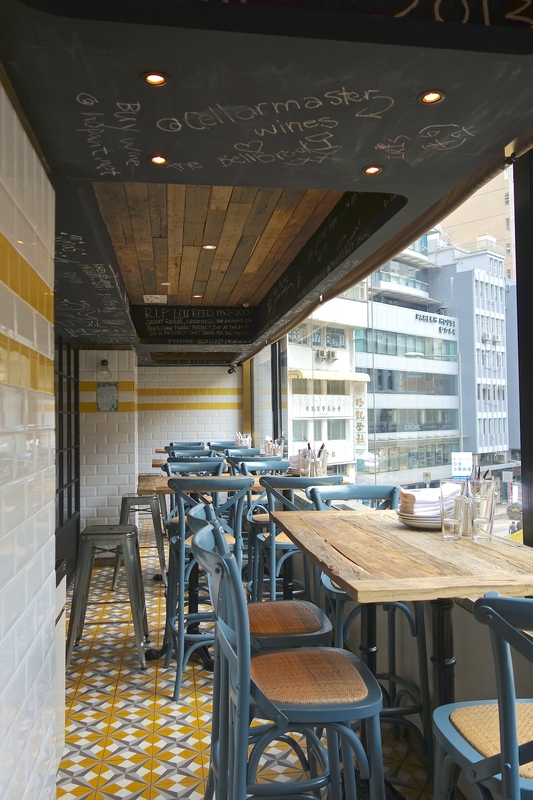 For me, Bellbrook is one of those Hong Kong restaurants that feels dated before it’s begun, which seems to lack the passion for offering an enjoyable dining experience, and as part of the Dining Concepts group, perhaps it wants to ride on the coat tails of it’s better restaurants. David Laris should reconsider whether or not he wants to put his name to this establishment. Sorry Bellbrook, perhaps the lunch menu has no bearing on the dinner menu, but you already lost me at lunch, and I have absolutely no desire at all to give it another chance at dinner. 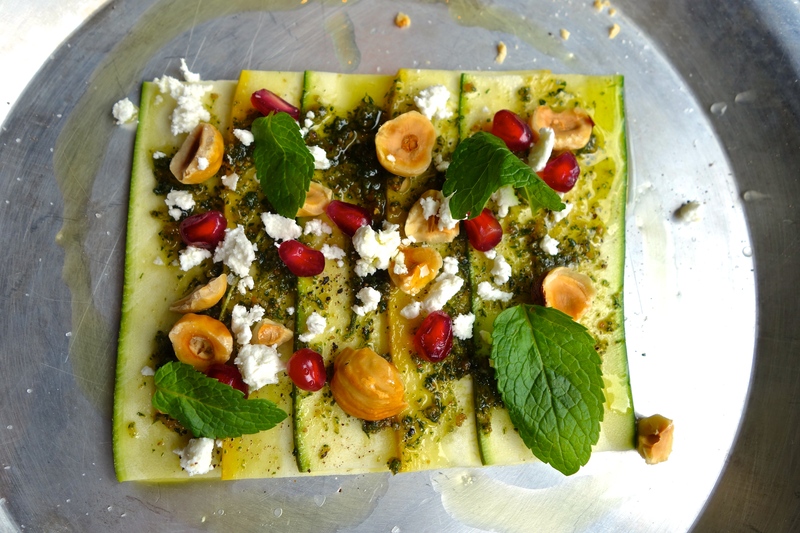 My zucchini carpaccio was pretty and colourful, and I loved the crunchy roasted hazelnuts, but the way it is served leaves much to be desired.